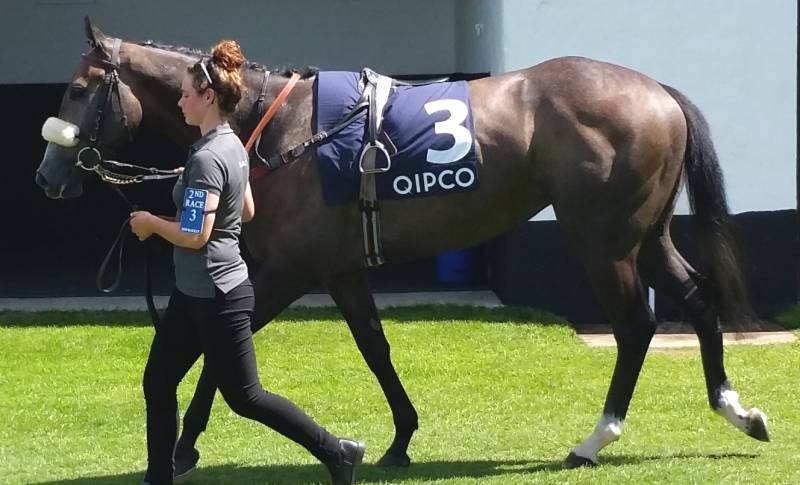 Michael Dods' talking horse Another Angel left punters feeling frustrated when racing over 5f on heavy ground in the Racing UK Pass Just £10 Novice Stakes. This Irish bred colt, racing in the familiar silks of Ritchie Fiddes (many readers will remember Easton Angel [pictured] who was highly tried last season) cost £50,000 at the yearling sales, when purchased by the present owner. This good-looking bay colt has plenty of with size and substance to progress with racing. A well-backed 6/4 favourite on his debut, he struggled to go the early pace against a trio of raced two-year-olds. Mulwith was the other horse making his race course bow but his antics saw him unseat Graham Gibbons going to the start, although soon back in the saddle to make the line-up. Another Angel was soon adrift of the field looking inexperienced but ran on very well under a considerate ride to lose by just over two lengths.